Have you been following the discussion about continuum mechanics, vorticity and the stress tensor started in the Geo-Tectonics list a few weeks ago? Oh, have you missed it? 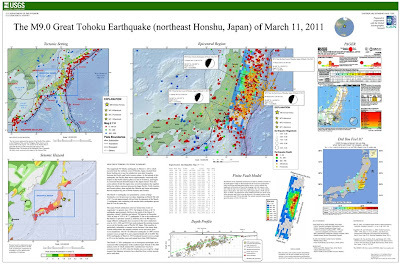 USGS has published a poster of the Great Tohoku Earthquake in Japan of 11th of March 2011. It seems that the upgrade from 8.9 to 9.0 Mw is definitive, and like that appears now in most of documents from national geological surveys. (Link to the poster a the end of the article). The poster is very interesting, and it compiles the basic tectonic/geophysical data needed for understanding an earthquake like this. Many newspapers and websites have published during the last days that "the Earthquake has moved Japan". Interestingly, most of journalists focus on the lateral movement, but forget the vertical displacement. 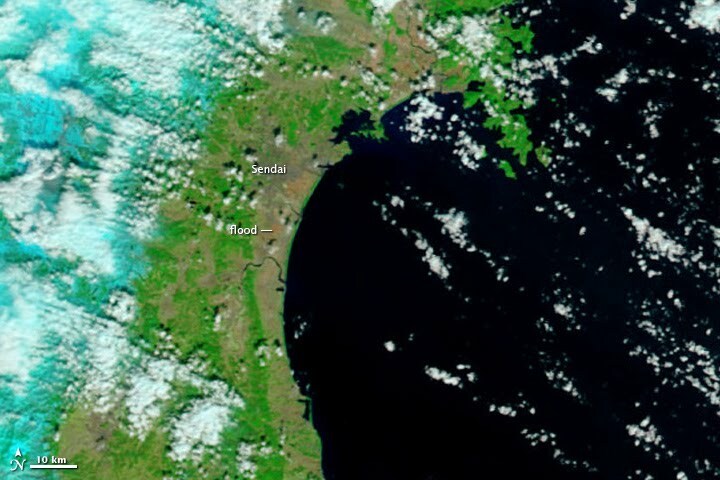 More and more data comes to light after the massive earthquake in Japan last week. As Callan Bentley points out in his blog, the vertical component of the displacement vector field shows a general subsidence in all the East coast of Honshu (Japan's main island). The maximum subsidence is 75 cm, while the horizontal displacement has been of up to ca. 4.4 m (eastwards). 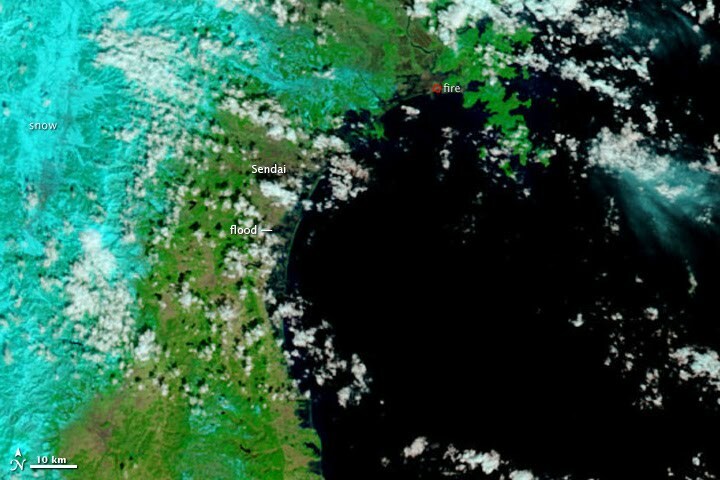 At first sight, it could look awkward, as the affected part of Japan is in the Okhotsk Plate, which is the overriding plate, while the Pacific plate is the subsiding element. Shouldn't the overriding plate uplift, instead of subside? Let's analyse it more in detail. 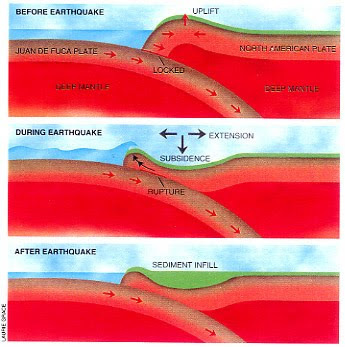 A megathrust fault is the tectonic boundary between a subsiding plate and an overriding plate. Megathrust faults are the causing element of the majority of most powerful earthquakes in the Earth. 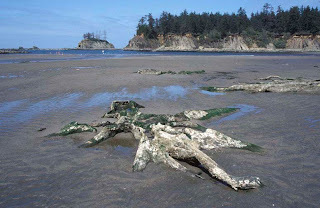 Probably, the most famous megathrust is beneath Cascadia in North America, and you can find most of the information you need about that in this great site: Giant earquakes of the Pacific NW. Coming back to Japan, which is part of the Eurasian plate, it overrides the Pacific plate over a megathrust. This is the fault that, with its slip due to elastic rebound, caused the 9.0 Mw earthquake some days ago. But of course, the slip occurs suddenly, after accumulating energy for certain time. As the following figure shows (taken from here), the overriding plate develops a bulge -due to strain build-up- when the upper plate locks over the subducting plate. Behaving elastically, the bulge grows as shortening continues, and the overriding plate continues accumulating strain in the bulge area. At some moment, the contraction is so strong that it exceedes the hold of friction along the fault, and an earthquake is triggered. The strain build-up relaxes, and the previoulsy uplifted region subsides. The cycle starts all over again. This is what has happened in Japan. An example may be to imagine ourselves pushing a mat, with our feet, against another mat. One of them will form a fold in the rim, until its resistance is broken, it slips over the "subsiding" mat, and the fold disappears. NASA has published two MODIS images, showing the coastline in Sendai before and after the eartquake. It is still early to estimate the new coastline, as in the images of this week many lands near the coastline are still flooded by the tsunami wave, and will probably not be submerged in the near future. Supersite is an initiative of the geohazard scientific community, providing access to remotely sensed and in situ geophysical data related with highly hazardous sites in our planet Find out more here. Note that the Supersite is regularly updated, so don't forget to revisit it. Shorter days caused by earthquakes? The powerful earthquake of 11th of March in the island of Honsu (Japan) has shortened the day length in 1.8 µs (microseconds, or millionths of a second), has declared Richard Gross from NASA's JPL in Pasadena, CA (USA). Gross has calculated the change in inertia moment, after the deadly earthquake has changed the distribution of Earth's mass. The massive earthquake has also affected the geometric axis of our planet, which could have been moved up to 17 cm. "In theory, anything that redistributes the Earth's mass will change the Earth's rotation," Gross said. "So in principle the smaller aftershocks will also have an effect on the Earth's rotation. But since the aftershocks are smaller their effect will also be smaller." Gross had also calculated in the past displacements of our axis and variations of our day length, following large earthquakes in Sumatra and Chile. My question is: Does this actually happened? Do this calculation involve astronomical measures that certify the change, and if so, its magnitude? Is this earthquake strong enough to vary the angular inertia of the planet? Are there more earthquakes in our days? Is the end of the world here? 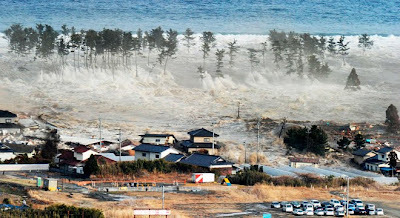 Not even 24 hours have passed since the deadly 8.9 Mw earthquake in Honshu, Japan, and already conspiranoics, cranks and even some broadcasters are opening the door of the panic room in the internet: Are we having more earthquakes now than some years ago? Is the end of the world approaching? Is Gaia trying to get rid of us? The answer to all these questions is a big NO. As most of people know, an earthquake is the sudden slip on a fault, and the consequent instantaneous emision of energy in the shape of seismic waves that was previously accumulated in a fault. There are many reasons for that, and many different types of faults in many different parts of the world, but the Ring of Fire in the Pacific is certainly one of th most hazardous areas in our planet in terms of seismicity. The USGS, even though is the national geological survey for the USA, registers earthquakes in all the planet and publishes statistics about them. So, are earthquakes from frequent lately? The answer is in the facts, as usual in this topics. But, we may think: "Every year it seems that more people die because of natural catastrophes". 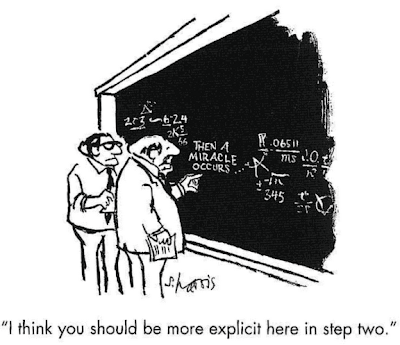 Well, it may seem like that until we take a look to the statistics, and then this idea simply vanishes. What happens is a mixture of not so natural phenomena. In first place, we have instant communications around the whole of the planet. And this didn't existed before. We switch on the TV when we get up, and we see in the news in UK or USA or Finland what is happening at the moment in Japan, tens of thousands of kilometres away. Secondly, the network of seismograph stations is more complete every year, and therefore the amount of earthquakes located is higher (and also the amount of smaller earthquakes detected. In 1931 there were 350 seismograph stations in the world. Today, there are more than 8000. Of course, that information is easily available and fills the media constantly. It is far more easy now to report an earthquake of 5.0 or 6.0 Mw, than it was in 1985. Note that the graphs DO actually show an increase, but this increase is more probably related to the number of registered earthquakes, and not to the actual seismic activity. In the last years, big quakes have occurred in populated areas, being more relevant. Sumatra, Haiti, Chile, Japan... But do we care when an earthquake happens in the Aleutians? Hazard is not synonym of risk! 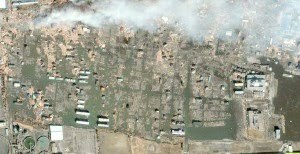 Risk involves exposure of human lives, of economically valuable places. And of course, the Mayans didn't predict anything! The tsunami alert has been extended to most of the Pacific, where people are strongly advise not to stay along the coasts. 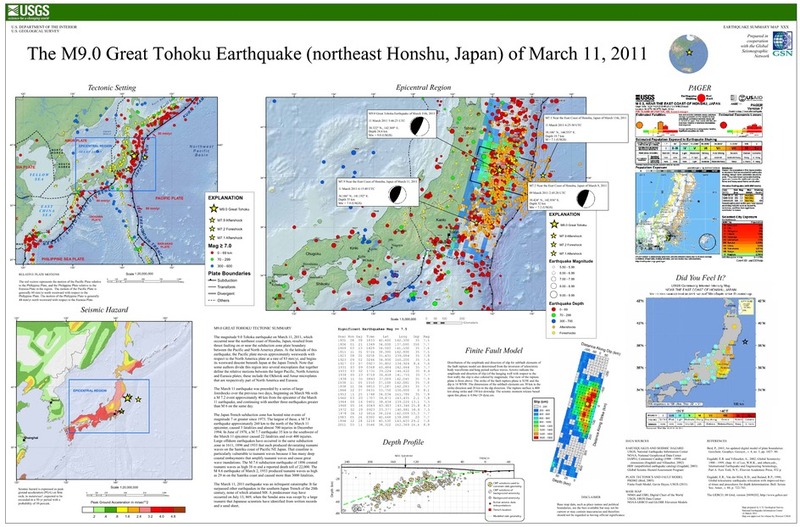 The 03/11/2011 earthquake (preliminary magnitude 8.9) near the east coast of Honshu, Japan, occurred as a result of thrust faulting on or near the subduction zone interface plate boundary between the Pacific and North America plates. At the latitude of this earthquake, the Pacific plate moves approximately westwards with respect to the North America plate at a velocity of 83 mm/yr. The Pacific plate thrusts underneath Japan at the Japan Trench, and dips to the west beneath Eurasia. The location, depth, and focal mechanism of the March 11 earthquake are consistent with the event having occurred as thrust faulting associated with subduction along this plate boundary. Note that some authors divide this region into several microplates that together define the relative motions between the larger Pacific, North America and Eurasia plates; these include the Okhotsk and Amur microplates that are respectively part of North America and Eurasia. The March 11 earthquake was preceded by a series of large foreshocks over the previous two days, beginning on March 9th with an M 7.2 event approximately 40 km from the March 11 earthquake, and continuing with a further 3 earthquakes greater than M 6 on the same day. The Japan Trench subduction zone has hosted 9 events of magnitude 7 or greater since 1973. 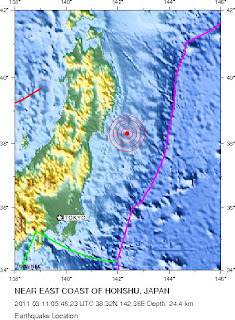 The largest of these was an M 7.8 earthquake approximately 230 km to the north of the March 11 event, in December 1994, which caused 3 fatalities and almost 700 injuries. 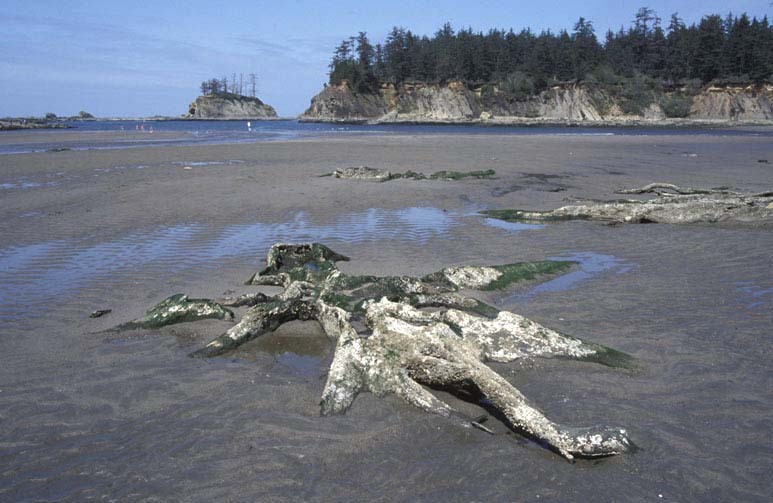 In June of 1978, an M 7.7 earthquake 75 km to the southwest caused 22 fatalities and over 400 injuries. 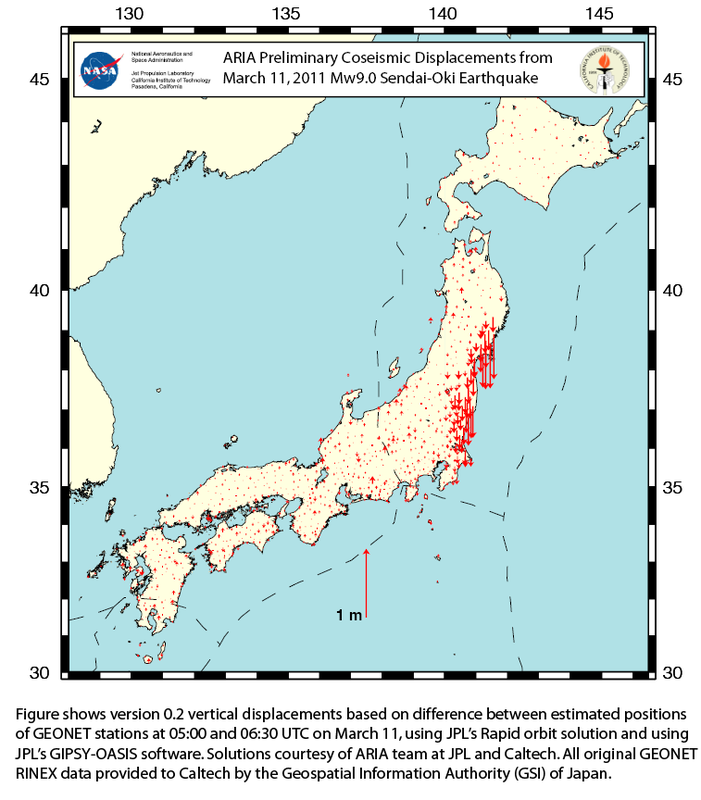 In December of 2008, a sequence of 4 moderate earthquakes (M 5.3-5.8) occurred within 20 km of the March 11 event. 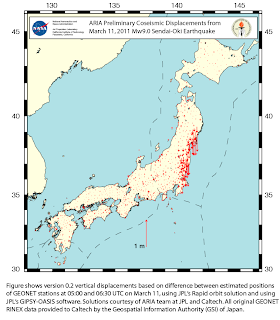 In the first 12 hours following the March 11 earthquake, the region has experienced over a dozen aftershocks of M 5 or greater, the largest being M 5.7.